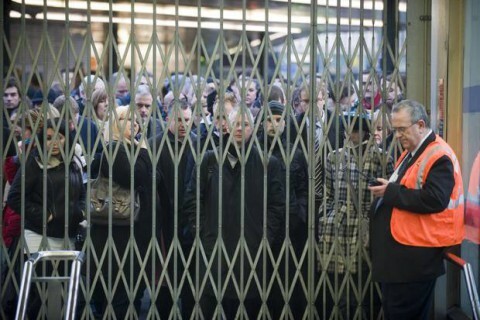 Another year, another tube strike on the cards. The RMT union are balloting members on Monday and could be launching industrial action as early as 17 February. This time the militants are upset that one their comrades was fired for turning up to work boozed up. All out… on the lash! It seems as good a time as any to remind downtrodden London commuters that we don’t actually need drivers. By Guido’s arithmetic there are at least 63 fully automated subway train systems in world, including Dockland’s Light Railway which has been happily driver free since its construction. So why isn’t the rest of tube network automated? Well, much of it kind of is; the Jubilee, Victoria and Central lines are all semi-aut omatic. The ‘drivers’ literally have to press two buttons at the same time once and the train drives itself. Not bad for £50,000 a year, and no wonder they think they can do it drunk. The RMT’s stranglehold over the Underground is so great that even though Boris’ soon to be delivered 250 new trains are capable of running on auto, they will have drivers until the 2020s.